Carrara is synonymous with the revered white marble that comprises much of the Tuscan alpine range known as the Apuane. The jagged, quarried peaks appear snow-capped on a hazy summer day, and the renowned stone also exerts a profound cultural influence.Carrara and its marble have been a crucible for arts and culture. Michelangelo chiselled his masterwork David from a slab of “marmo” from his personal quarry in nearby Pietrasanta. Great monuments from the Pantheon in Rome to London’s Marble Arch have also been sculpted from the precious alabaster stone.Less well-known is Carrara’s significance to modern Italian tailoring and artisanal luxury. The region’s tailoring ateliers were pivotal in developing the su misura systems that made traditionally constructed, handmade suits accessible beyond the bespoke ateliers of Europe. 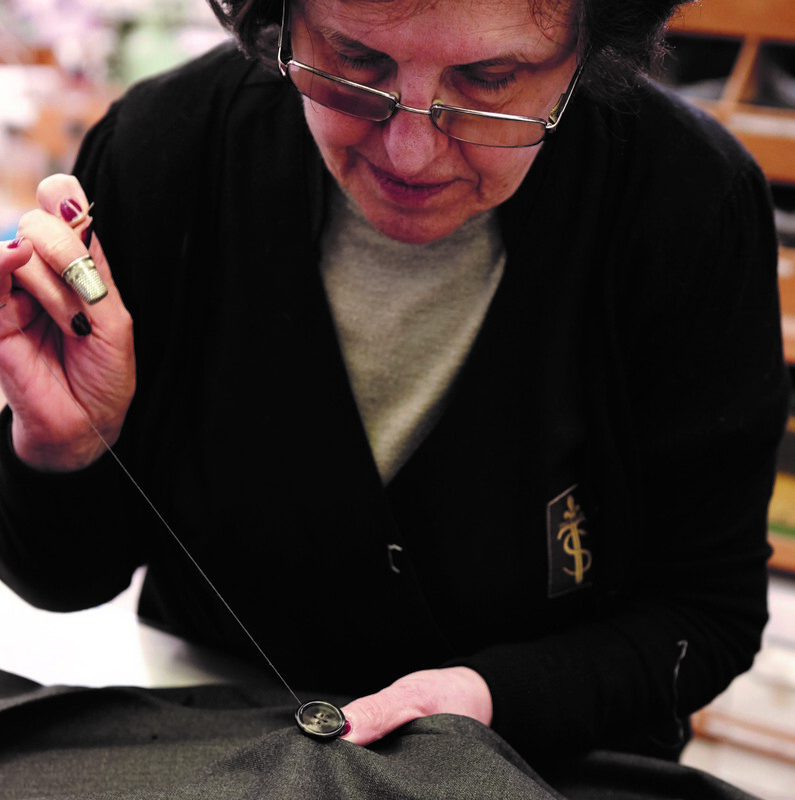 The su misura way of working allowed artisan tailors to adapt their ancient art to small, efficient workshops.“Everyone in the workshop knows how to make a suit by hand from start to finish, yet they also know how to make an artisanal product in the most efficient way possible,” says Sydney tailor Patrick Johnson.The founder of P.Johnson tailoring was so impressed with Carrara craftsmanship that he bought the factory. Literally. The cloth and cut of Sartoria Carrara is luxurious, yet natural and comfortable. Not uptight or stiff, but a fresh and relaxed hybrid of Neapolitan tailoring and the country where Johnson was born and raised.“With the tailoring we do there is nothing to hide behind,” he says. “We simply offer a beautiful handmade suit with a design language that reflects the natural environment I grew up in. It’s about a minimal, flexible wardrobe with nothing unnecessary, but everything that is essential.”Since founding his business with that philosophy in 2008, Johnson has carved out a global reputation for his signature style of suiting that is softer, lighter and more comfortable than most British or Italian iterations. Having established successful flagships in Sydney, Melbourne and New York, the Adelaide-born businessman also operates trunk shows and fitting rooms around Australia and in Singapore, Jakarta and London.“When we started, our business goal was to make Australian men better dressed,” he says. “Now it’s just to be the best tailor in the world.” Johnson trained as a winemaker until a freak chemical accident while working at a vineyard led to sulphur dioxide poisoning and a change of career path. 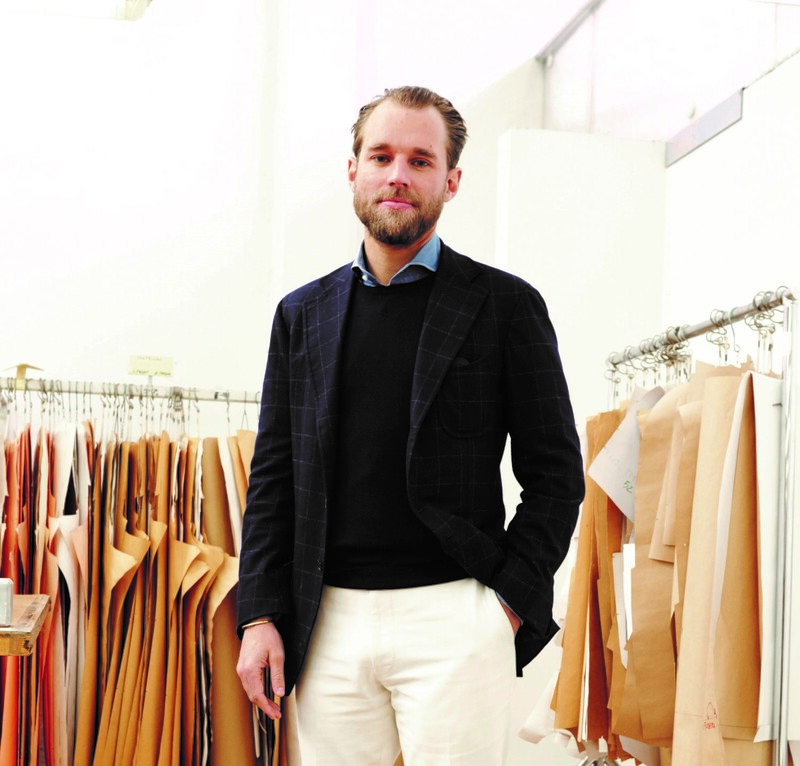 He studied fashion at London’s Central Saint Martins College before joining esteemed shirtmaker Robert Emmett on Jermyn Street, Mayfair, then returning to Sydney to set up P.Johnson.“In our Carrara workshop, I am beginning to be able to tell which tailor sewed on an individual button hole,” says Johnson.